We have these very slow growing Protopaly grandis that have been in cultivation for decades, but grow very slowly, so we haven't been able to release them. We are giving these a limited trial release, as we have some customers looking for them. These Protopalythoa grandis are uniquely green and contrasting. 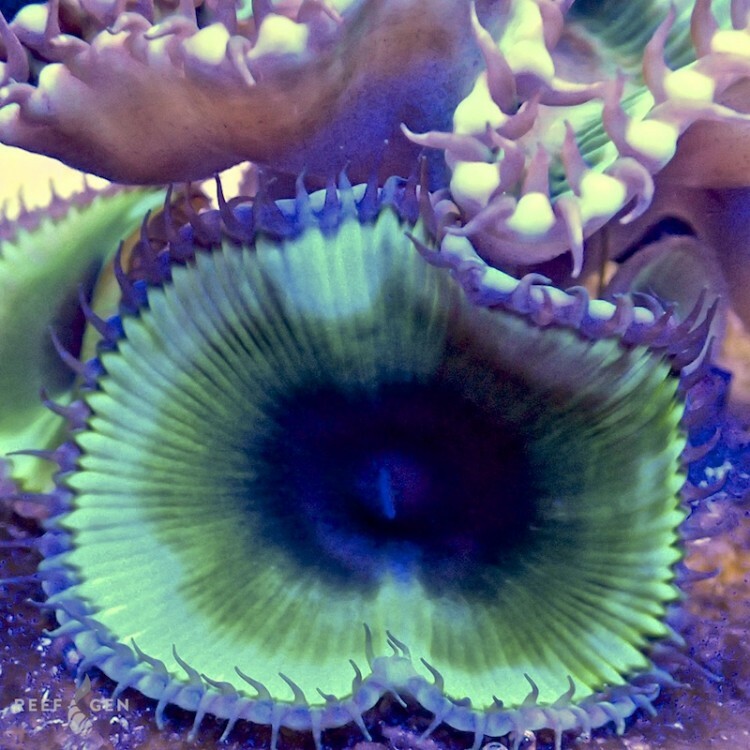 Unlike other zoas and paly's, they don't grow quickly over large areas, in fact they stay relatively contained in a small are growing attached to one another in a large fleshy mound. Very unique physiology. Enjoy!